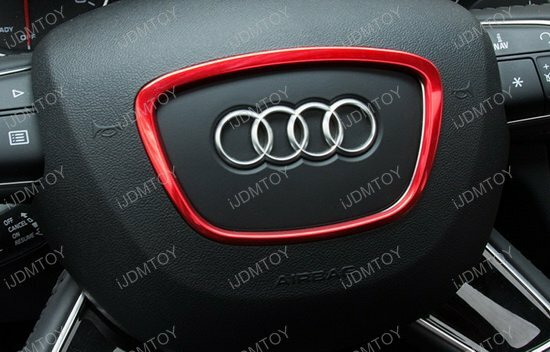 If you are deep into custom modding your Audi, you know that even the most minor details are just as important as the big ones from your LED headlights down to your steering wheel. 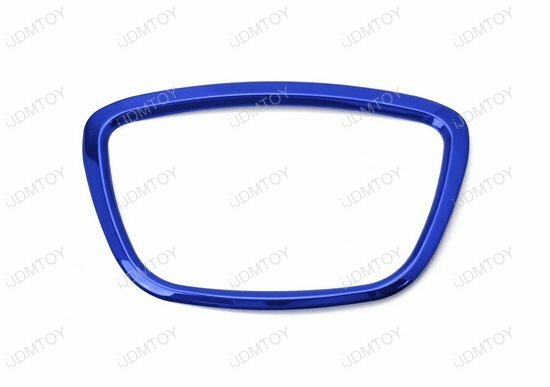 Add a custom touch to your Audi's steering wheel with the blue aluminum decorative ring! 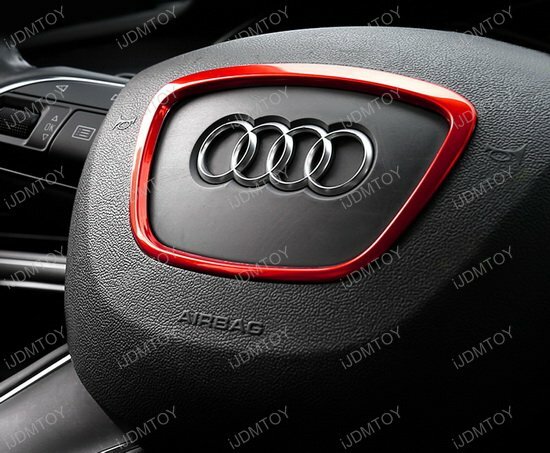 This product will fit many Audis 4-spoke steering wheels with shield-shaped airbag caps as well as models without S-line or sport wheel trims. 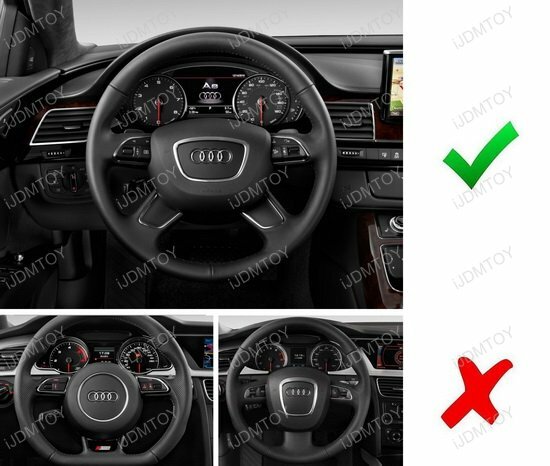 The aluminum steering wheel ring will NOT fit in 3 or 4-spoke steering wheels with center round shapes. Verify with the second gallery image to see if this product is compatible with your Audi. 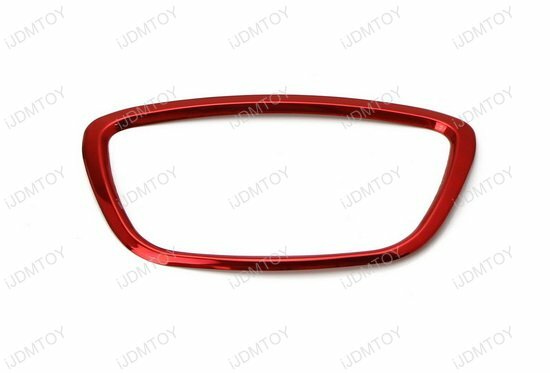 Each steering wheel ring is made of anodized aluminum and is finished with a powder-coated blue coloring for a sporty appearance. 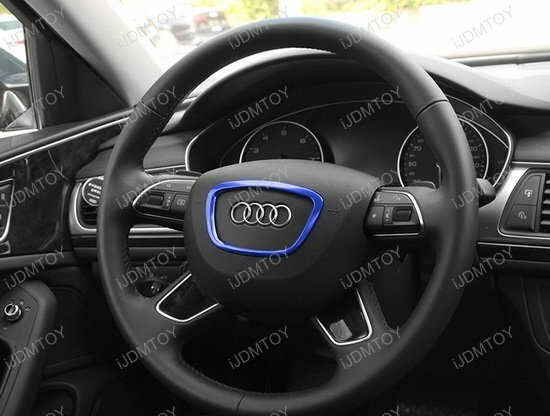 Simply install the shield-shaped steering wheel decoration trim by peeling off the double-sided tape and applying the blue aluminum ring over your Audi's steering wheel. A beautiful aesthetic is all in the small details and with the anodized blue aluminum steering wheel decorative ring, you can add a personal touch to your Audi's custom look!